Minecraft has been the source of a lot of wasted time for a lot of gamer’s ever since the game was first released. This is because the game does a lot of good things, obviously. It gives players basically an endless sandbox where they can build and construct anything they want, from unique cavers, castles, airships, and everything in between. 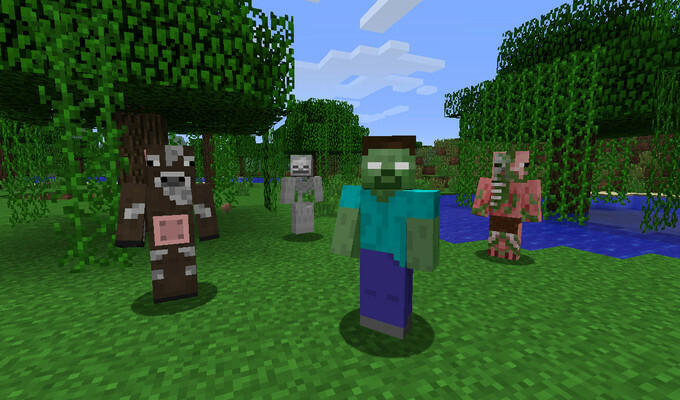 The inclusion of both survival and creative modes also give players different ways to play to fit each gamer’s respective play style. 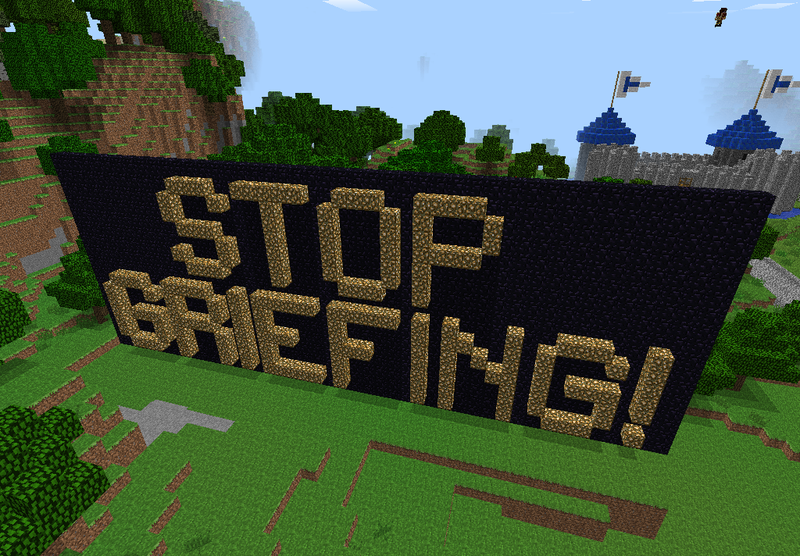 However, Minecraft doesn’t get everything right. Multiplayer, a chance to interact with other players in the game, falls short of being an acceptable form of social interaction. In fact, it has probably been my worse social experience in games. Why? When you give someone a lot of creative power in the game world, sometimes they don’t use that power the right way. For example, a term that is often brought up when talking about Minecraft multiplayer is “griefing.” Griefing is the act of destroying someone else’s creations in the game world. This happens a lot, an annoying amount of times. 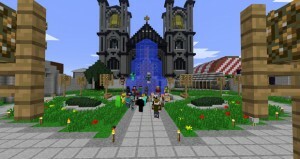 The game puts people on different servers, where they can collaborate with other players, or go solo, in creating whatever creations they want to make. It’s almost like single player, except there are other people besides creepers that roam the world. 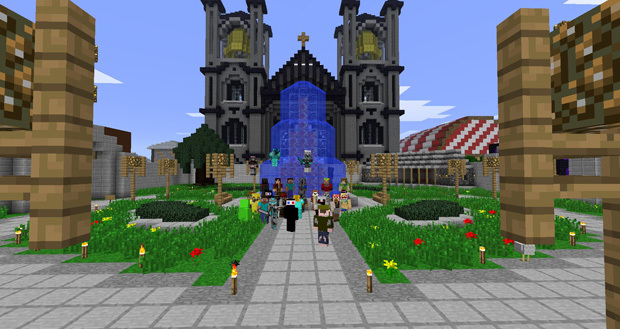 This leads to people coming on to a server with the sole mission to grief everything in sight. I would often get into a multiplayer server and get my creations destroyed by some idiot who has decided that my mansion that I built would be better burned to the ground. Sometimes this would be a couple of hours of work, being burned to the ground. The player usually gets booted from the server, but by this point it doesn’t matter. The damage has, quite literally, been done. You also get the issue of skill level. When players join a server, it usually doesn’t matter what skill level they are. This is because Minecraft doesn’t really have a way of measuring a players skill. This leads to someone, who doesn’t really have to much experience with the game going into a crowded server of skilled craftsmen, building exquisite masterpieces. A lot of the times they would have a nasty attitude towards these players, usually resulting in that player being forced to leave the server. A lot of the times that inexperienced player was me. I am not going to say that I am bad at Minecraft, I just don’t have the skill, and patience, that some of the other people on the servers have. I often found myself on a server filled with a bunch of jerks who basically tell me to get off the server because I can’t contribute anything to their work. There is a lot of shortcomings in the multiplayer that often lead to a frustrating experience. I usually don’t play to much multiplayer, unless I am playing with friends, because of how bad and flawed it is. However, most broken things can be fixed, and there are definitely places where the multiplayer aspects of Minecraft can be improved. 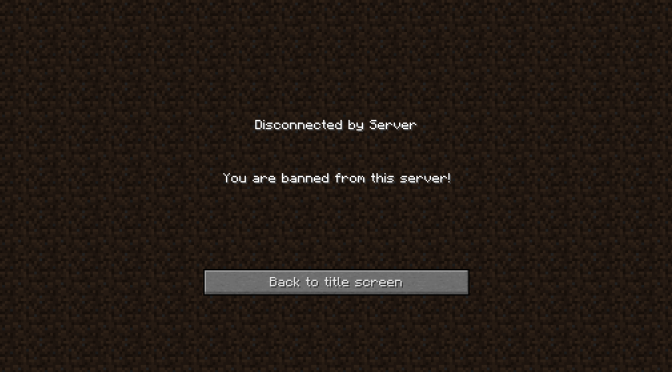 First off, I am sure that the people at Mojang, the creators of Minecraft, have a way of keeping track how many times someone gets kicked off a server. I am also sure that they could figure out a way to figure out a reason why they get kicked off. It might be beneficial to them, and lots of other people if they restrict these people who go on to these servers to grief to certain servers that contain other people who grief. That way, they could have their fun on their own servers, destroying each others creations endlessly, without bothering the people who actually want to play the game the way it was intended. This might be hard to implement, but it is definitely doable. If someone were to be kicked off a server for griefing x amount of times, then they would be thrown into these “griefing servers”, a place away from everybody else. It might be harsh, but it is something they deserve if they want to destroy someone’s hard work. The other fix to the problem, the problem of skill level however, may be a little harder to fix. The game, right now, has no scoring system or prestige level for the players. However, there might be a way to implement a rating system. By that, I mean that people could upload screenshots of their creations to a website, or even on the multiplayer interface itself, and then ask other players to rate those creations. If someone continually were to get a lot of good ratings, then they would have a higher “skill level”. There are wrinkles that would have to be ironed out however. Not every player will upload their creations. If this were the case, that player would only be allowed to join servers with other people that have not uploaded their creations. These servers would basically be considered “neutral ground”. 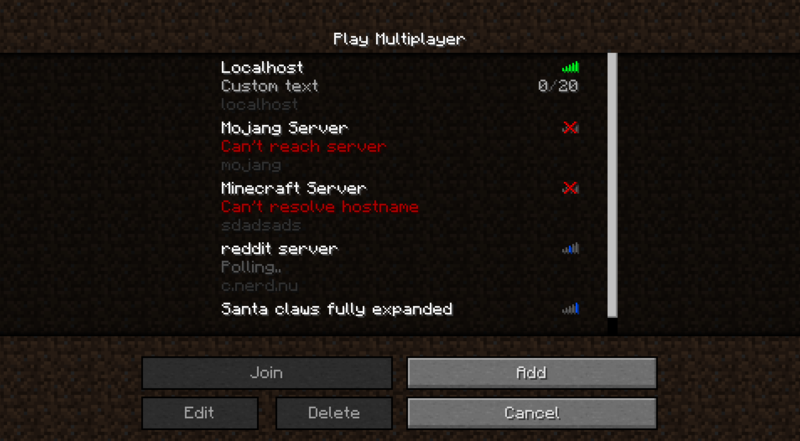 There would then be servers for the different skill levels of players. Players with high ratings on their creations would get into prestigious servers while players with lower ratings can go into their servers to harness their skills and get better. This is just one way to fix the problem, even though it may be a little tough to work it out. Minecraft multiplayer is flawed in a lot of respects, but there is definitely improvements that can be made, and they are not to hard to implement. 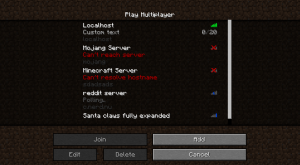 If Mojang can take further steps into creating a better social experience for their game, it could bring a lot of people back to multiplayer. Great post! The suggestion about how to incorporate a skill system into the game is really interesting. I mean, it seems like a neat solution for the problem you raised–how the Minecraft community can be alienating to players with low skill levels. But I also suspect that it would promote some interesting social dynamics. I can see it promoting some interesting competitive relationships by promoting the prestige of certain servers–kind of like what happens among PVP guilds vying for spots on the most highly-ranked PVP servers. What’s especially neat, though, is that these competitive relationships would also depend on successful collaborative relationships–i.e., the way you land a spot on the most competitive servers is by impressing the community with your creations and getting them support you. Like I said, that’s a really cool, subtle idea. It’s a great example of how tinkering with a game’s mechanics could radically change the community it sustains.